pressure between the container head space and the external atmosphere. It is recommended to decant the foam concentrate into long term storage containers. 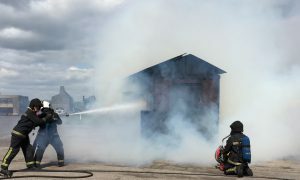 However the Angus Fire shipping containers can be used as long term storage containers, if certain routine checks are carried out to ensure their continued suitability.